Pioneer Works offers guided tours to groups of eight or more throughout the year. Guided tours include general building and organization history and a walkthrough of the space, including a brief overview of current exhibitions. Group tours can be customized upon request in the areas of science, technology, music, or art exhibitions. Your group can also request studio visits with our artists-in-residence upon availability. Pioneer works offers a range of themed tours for K-12 groups in the areas of visual arts, technology, and music. Special requests concerning the themes or focus of the tour are welcome. 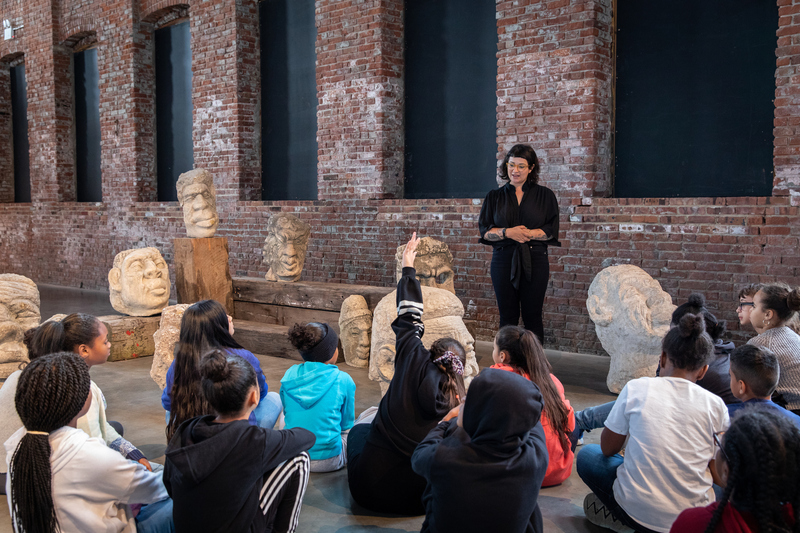 School Tours are led by Pioneer Works staff, trained educators, and artists. We offer a series of free hands-on and discussion-based workshops for students K-12 during all major exhibitions (September 27 - November 10). K-12 school group tours are free of charge thanks to the generous support of The Steven & Alexandra Cohen Foundation. We offer tours to groups of eight or more, Wednesday to Friday between 10 am and 4 pm. If your group would like to visit outside these hours, please note this in your tour request form and please submit your form at least two weeks in advance of the desired dates. 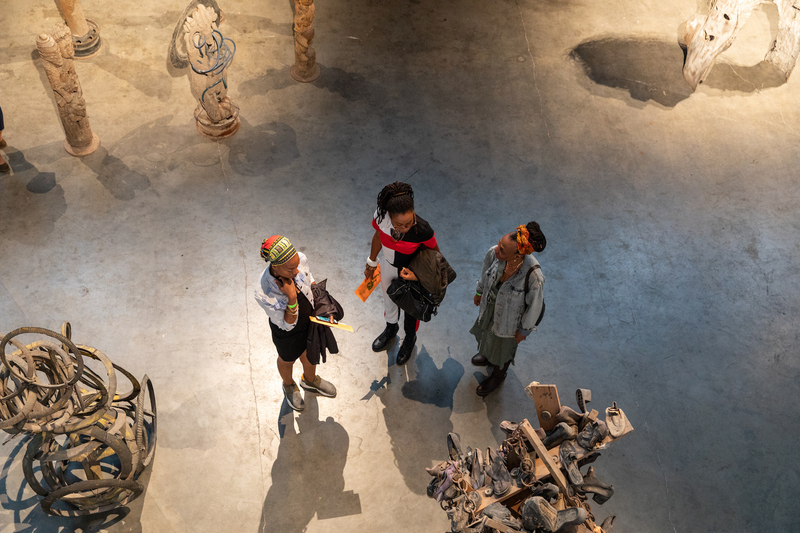 Pioneer Works educators and artists lead tours of our current exhibitions.